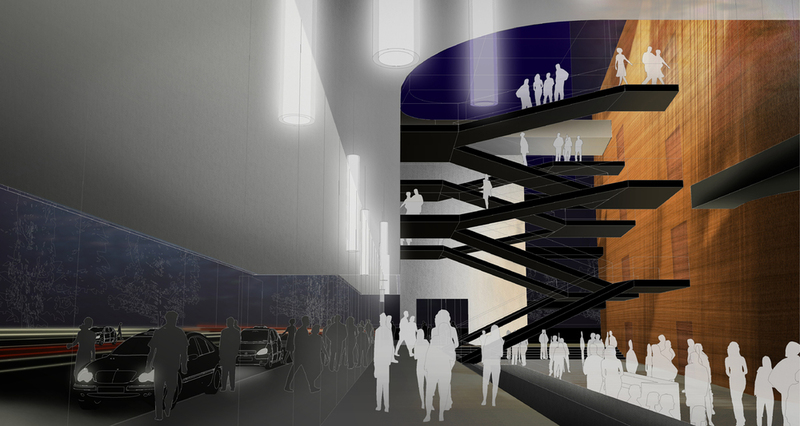 In Spring 2009, VJAA was selected along with two international design firms to interview for the addition and renovation of Orchestra Hall in Minneapolis, Minnesota. The original design by Hardy Holzman Pfeiffer (1974) was adventurous and socially-minded. 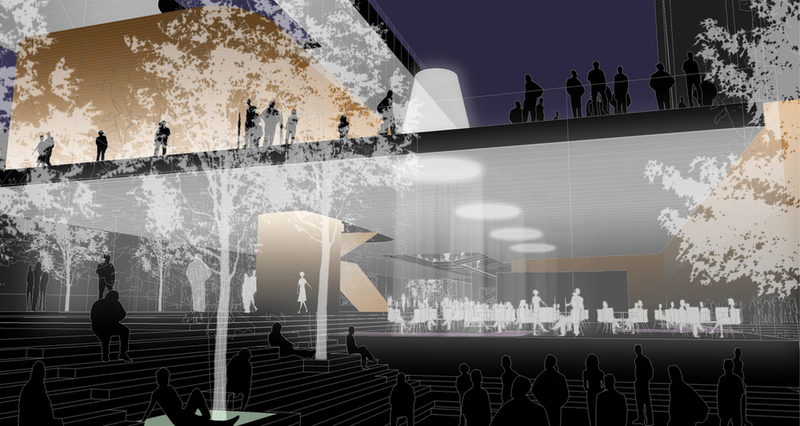 Its design was intended to emphasize the Minnesota Orchestra and its concerts as a highly accessible public amenity at the terminus of the city’s main pedestrian space, the Nicollet Mall. An adjacent landscape, Peavey Plaza, designed by M. Paul Friedberg in 1975, was also populist in spirit, supporting public gatherings of various scales and the activities of the Minnesota Orchestra. Over time, and with lack of security and upkeep to the public space and incremental modifications to the hall, divisions were retroactively created between Orchestra Hall and Peavey Plaza. These incremental changes effectively caused Orchestra Hall to turn its back on Nicollet Mall and the center of downtown Minneapolis. 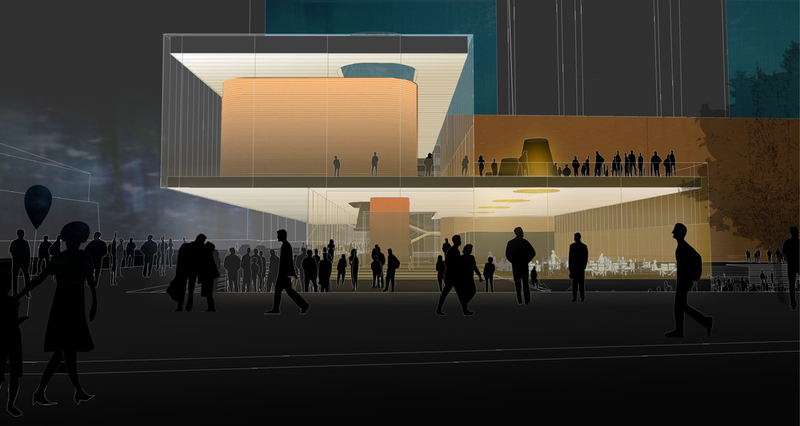 VJAA’s design was prepared as a part of the architect selection process, proposing a lobby addition and renovation that would reconnect Orchestra Hall to the city and its civic space. 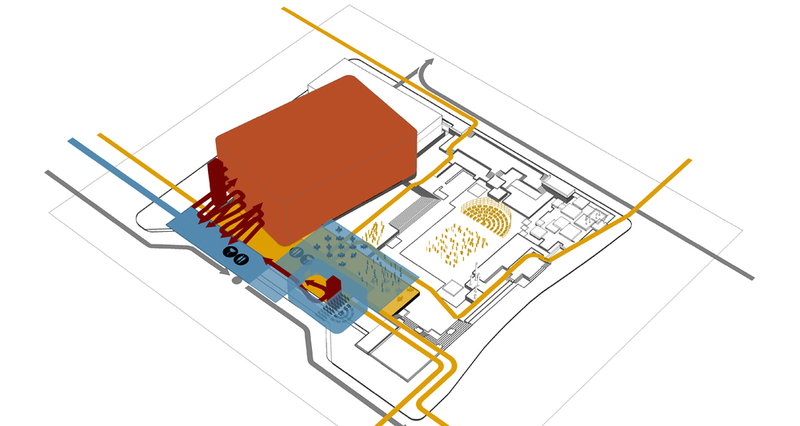 The scheme also doubled lobby and restroom spaces, respecting the Concert Hall designed by HHPA and acoustician Cyril Harris, and would create an efficient back of house and administrative space. The new design stacks two glass boxes cantilevering over the drop off zone and extending out to reconnect the hall to a restored Peavey Plaza. The new circulation reconnects the Hall to the plaza and landscape on multiple levels, reinvigorating Peavey Plaza as a vital courtyard for the festivities of Orchestra Hall.